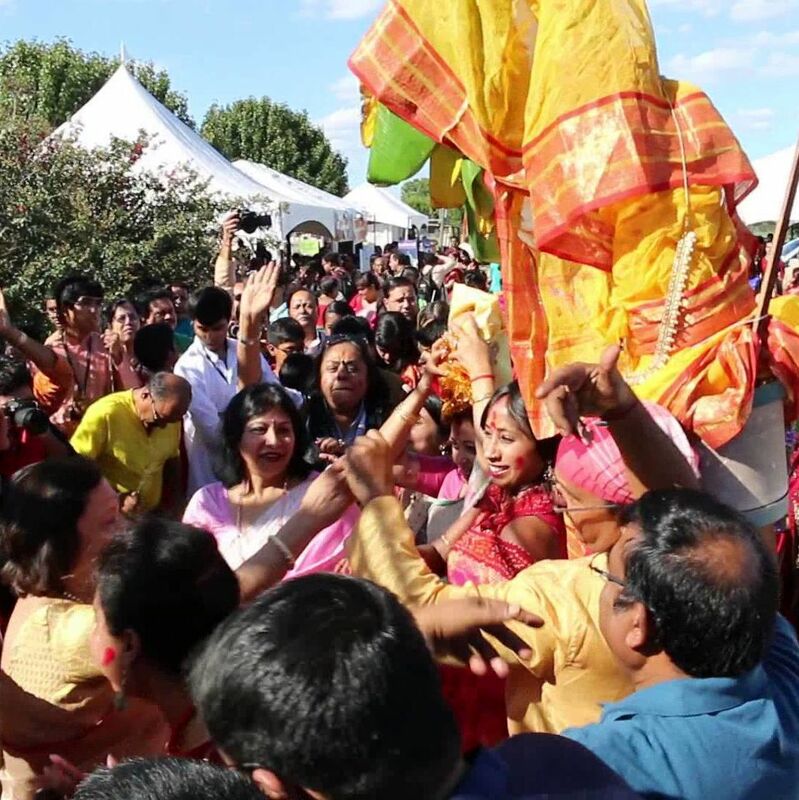 A meditation on the spectacularly diverse ways Houstonians keep the faith. 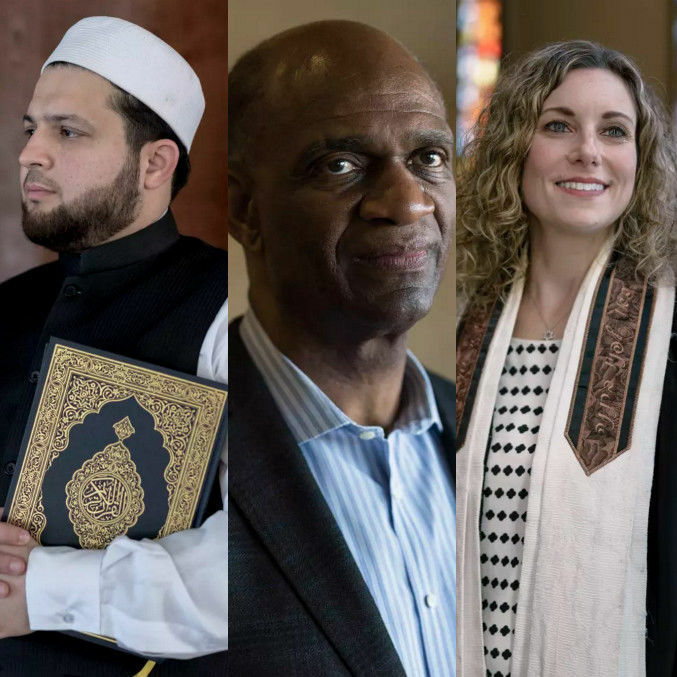 Whether you’re a believer or not, there’s a good bet your neighbor is: Over 4.9 million Houstonians in the greater metro area actively identify as religious. And they’re not just talking the talk—they’re walking the walk. A massive Pew Research Center study in 2014 showed that Houston leads the nation in regular attendance at religious services. 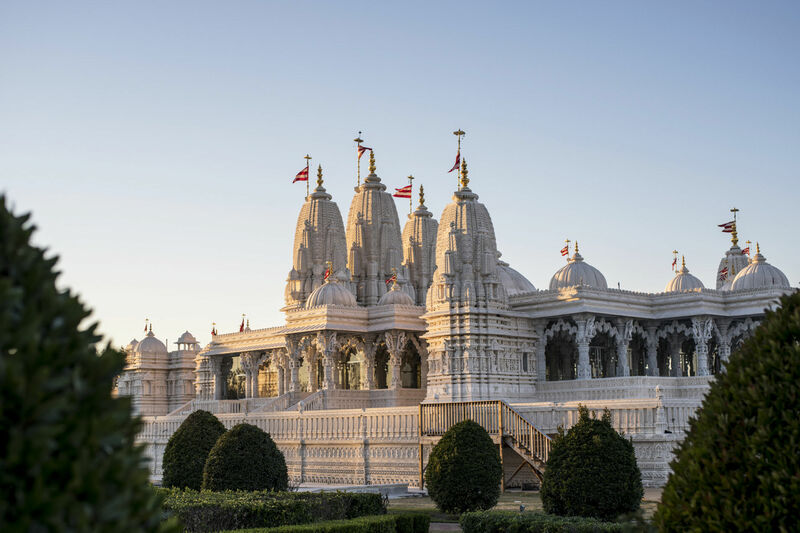 In a city as diverse as ours, it should come as no surprise that those religious services are equally varied: Houston’s home to Baptist churches Southern and Korean, Orthodox temples Armenian and Jewish. 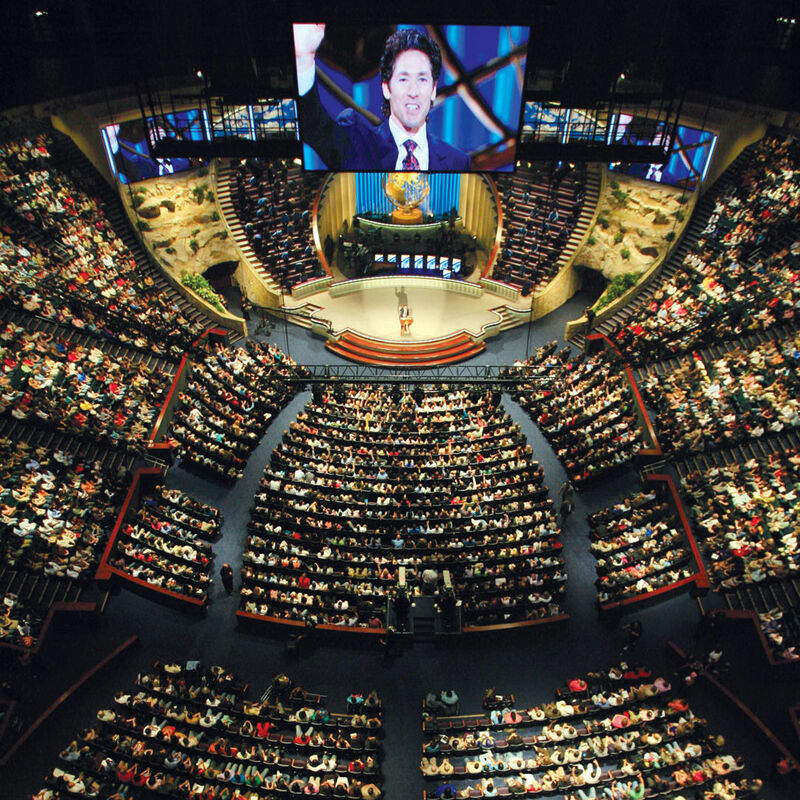 The Bayou City faithful kneel at mosques and mandirs, cathedrals and cowboy churches—and, of course, a certain former basketball arena in Greenway Plaza. Researching this feature, we realized that our houses of worship are homes—often away from homes. We learned all about the crazy quilt of religions Bayou City believers adhere to, discovering the city’s oldest and largest congregations, meeting with religious leaders, and finding outposts of faiths we didn’t know were even practiced here. It turned out to be a great way to get to know our neighbors—and there’s nothing more Houstonian than that. From cathedrals to mandirs, the doors are always open at these nine spiritual spaces. No matter their faith (or lack thereof), all good Houstonians should visit these houses of worship. How do you maintain traditions in a modern world? Should you have a Facebook page? Could Houston be heaven? 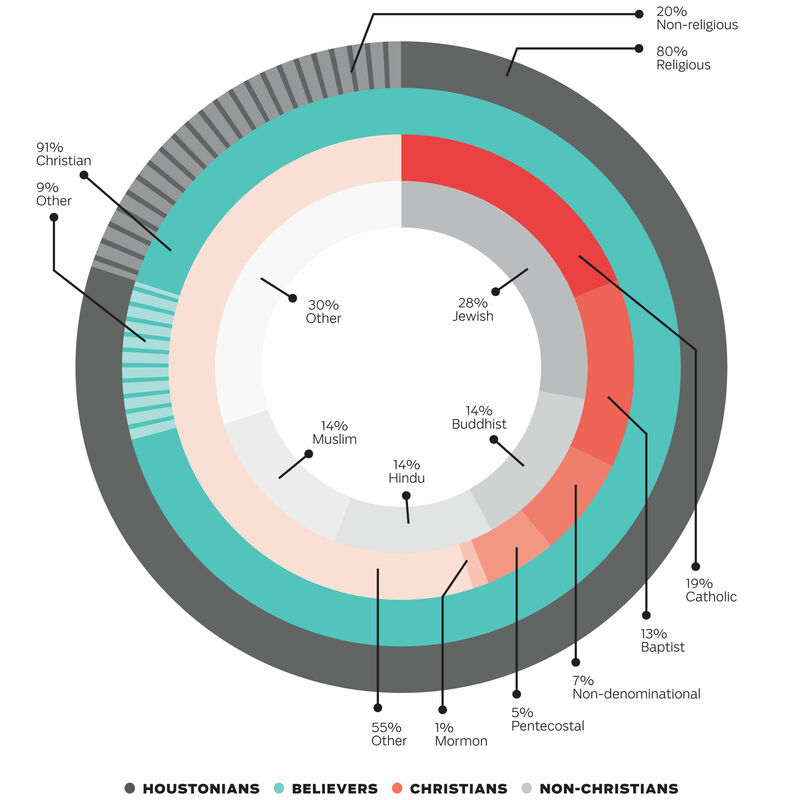 Breaking down the city's Baptists and Buddhists, infographic-style. 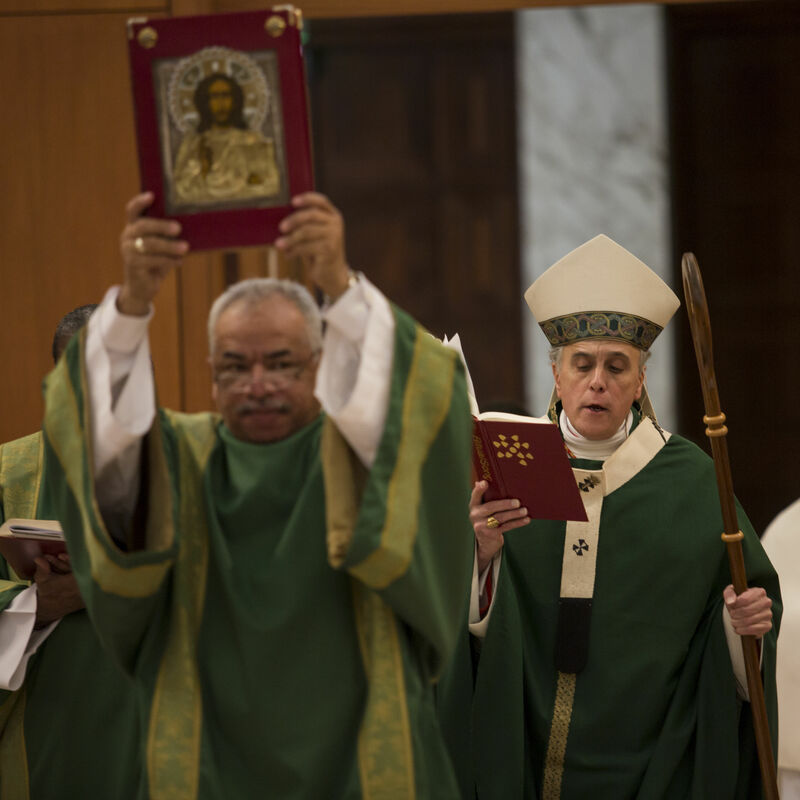 A pocket of southwest Houston illuminates a diverse city of faith. 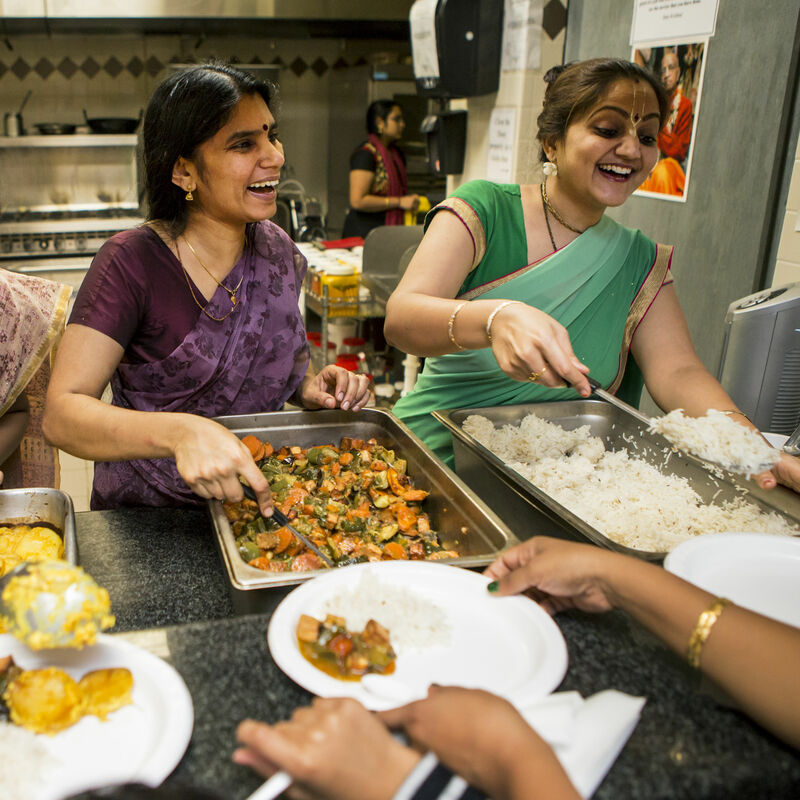 For Hare Krishnas, food is as much an expression of faith as their famous prayers.